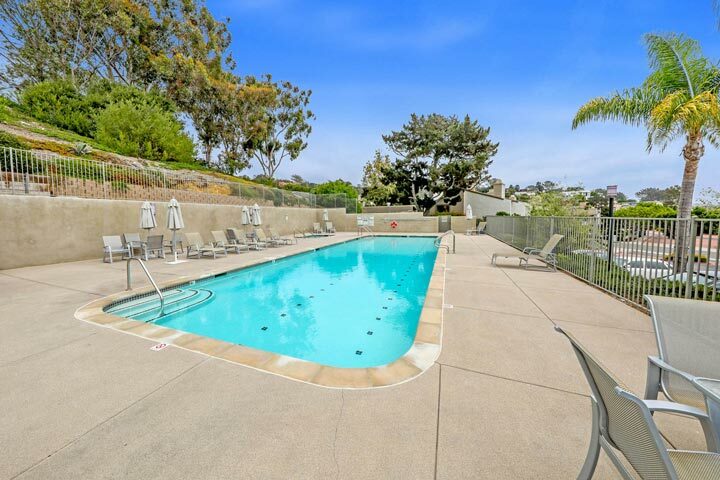 Sea Village Homes are located in the coastal community of Del Mar, California. These are two story town homes that offer beach close living with resort style amenities. 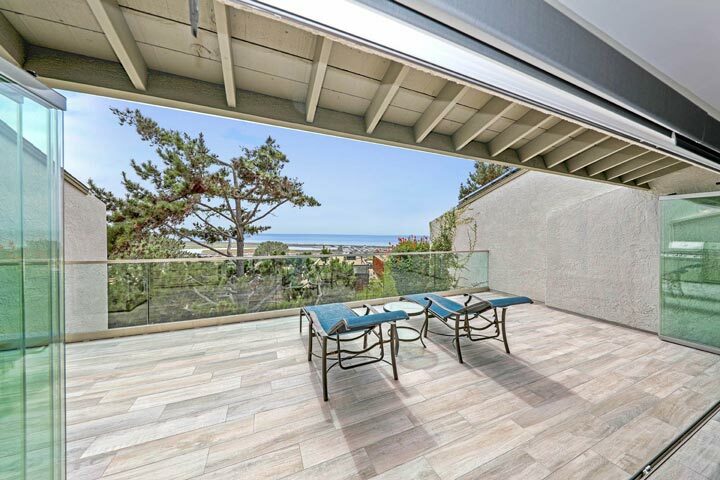 The location is set high enough on a high that select condos can offer stunning ocean views as pictured above. 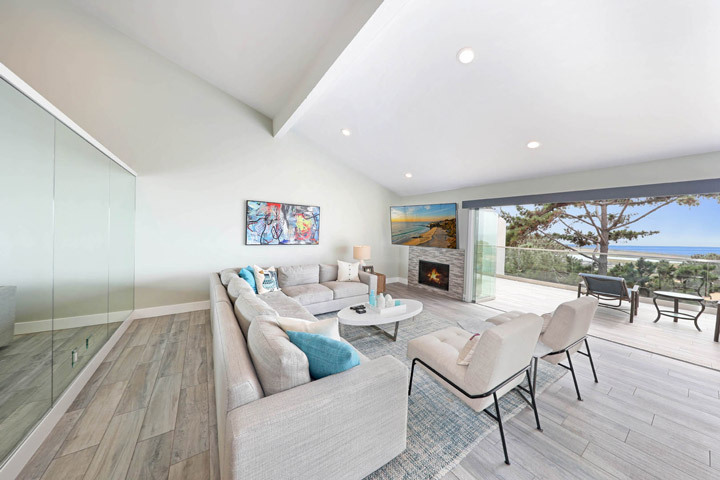 Some of the features that can be found in the homes include vaulted ceilings, outdoor terraces with ocean views, ground level bedrooms and galley style kitchens that overlook the views.Below area all of the current available Sea Village condos for sale and for lease in Del Mar. If you are looking for a Sea Village rental home for lease, please visit our Del Mar Rentals page. Questions regarding this community and any of the homes listed here? Please contact us at 888-990-7111 today. The Sea Village community has monthly dues that include a two community pools, tennis court, clubhouse and putting green. The Sea Village homeowners association phone number is 619-550-9142. 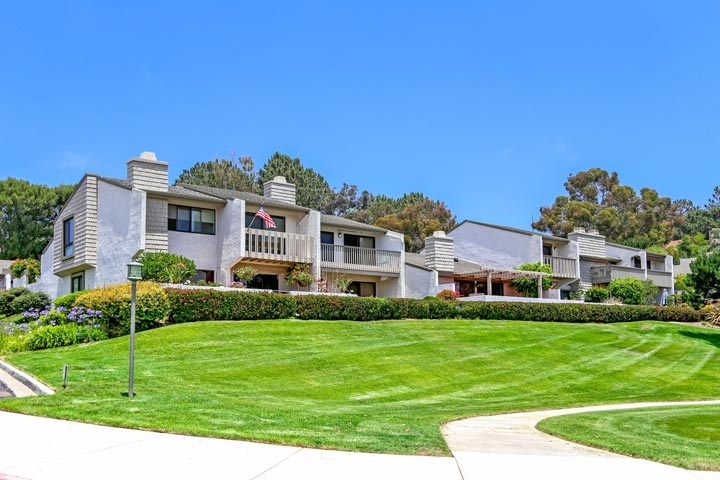 Please contact them with any association related questions.This is a great location that is just a couple of blocks to the sandy beach on the south end of the Del Mar city limits.